Are you looking for something to do this Christmas season? Want to be filled with the holiday spirit or give your kids an unforgettable time? The Radio City Christmas Spectacular is the way to go. Get your Radio City Christmas Spectacular tickets before time runs out and you miss this great holiday event that the reviewers all love. The Radio City Christmas Spectacular is an amazing event, which Theater Mania describes as “the Big Apple’s most spectacular Christmas show.” The show is in its 81st consecutive year and as many as four performances occur each day to offer every Christmas lover, both young and old, the chance to experience a fun-filled performance full of holiday cheer. Don’t hesitate and miss out on an opportunity for pure, family fun with an old fashioned Christmas Spectacular that manages to be both traditional and timeless at the same time. Tickets are affordable and every seat in the house is a great one from which to enjoy the entertainment. Why Get Your Radio City Christmas Spectacular Tickets Today? 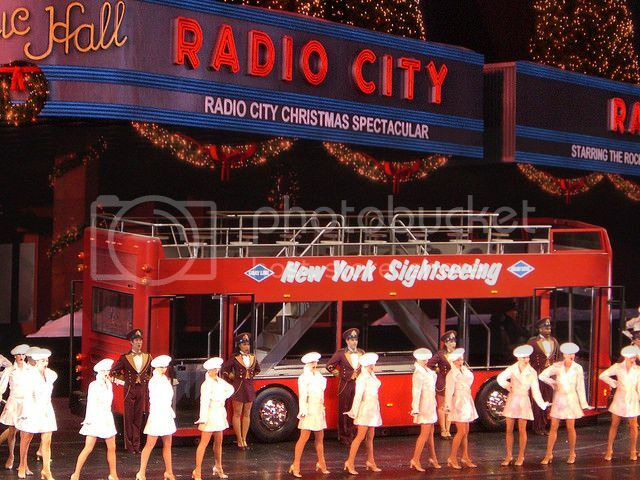 The Radio City Christmas Spectacular is sure to please all audiences because it keeps the classic story and family-friendly fun but also adds new flourishes so it is interesting even to people who have seen it before. The story this year, for example, includes the Little Town of Bethlehem coming to life. Baby Jesus makes an appearance, of course, and the Rockettes are an integral part of the Christmas spectacular and always have been. Their choreographed dance to each verse of the “Twelve Days of Christmas” is beloved by audiences as this classic song come to life. Some high-tech additions have been made as well to keep the show fresh. For example, there are now giant globes that rise into the air and drift towards the audience members this year. These globes are part of a new number called “Snow” and each of the globes contain a giant snowflake. The globes then float backwards and vanish down below the stage, after delighting audiences of course. There are 3D glasses available for audience members as well, which make it possible to enjoy a visit from a digital Santa that comes into the concert hall on a sleigh. There is even a show about a video game that teaches an important lesson about the meaning of Christmas… but you will have to order tickets and see the show to find out what the mother and tech-savvy daughter in this number learn about Christmas cheer. The mix of new additions and old traditions mean that long-time audiences can still enjoy the classic show while the performance has become more inclusive and seeks to welcome new audience members who have not ever attended in the past. Theater Mania indicates that the crowds have gone crazy for the classics and the additions, with “thunderous applause” erupting between each new formation. The experience of attending the Radio City Christmas Spectacular is one that everyone should get to have at least once in their lifetime, and preferably every year. The performance is sure to fill you with the holiday spirit and will delight your kids so you can make a magical Christmas memory that you will remember forever. So, whether you have gone to the show many times in the past or whether you or your children have not attended the performance before, make sure you take time out of your holiday schedule to have this great experience this holiday season. Get your tickets today for an upcoming performance and get ready to have a day of classic family fun. These tickets make a great gift for yourself, for friends, relatives and loved ones who you want to give the magic of an unforgettable Christmas experience. Christina Brown is an artist at heart. Whether we’re talking music, painting, or theater, she understands and loves it all. That’s why she looks to generate hype for art she supports.